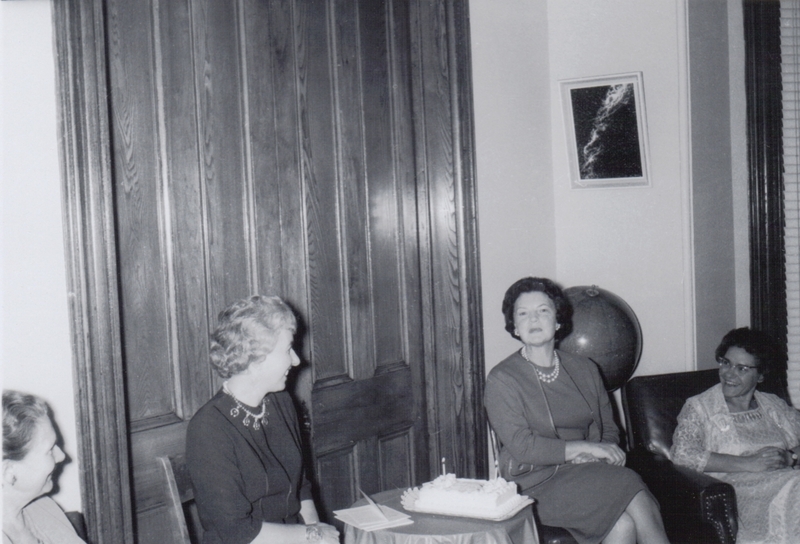 Ruth Northcott (in front of door) and Carol (Mrs. J.E.) Kennedy (left of globe) at 252 College Street.